Learn Gujarati from English in 30 days, just 10 minutes a day with our interactive lessons. Whether you are beginner starting with the basics or looking to improve your language, Multibhashi is the best app to learn Gujarati online. Gujarati is an Indo-Aryan language native to the Indian state of Gujarat. It is part of the greater Indo-European language family. In India, it is the official language in the state of Gujarat, as well as an official language in the union territories of Daman and Diu and Dadra and Nagar Haveli. As of 2001, Gujarati is the 8th most widely spoken language in India by the number of native speakers. The Gujarati language is more than 700 years old and is spoken by more than 55 million people worldwide. Gujarati is one of the twenty-two official languages and fourteen regional languages of India. You can also make use of other resources like the books to learn Gujarati. Why learning Gujarati is Important? In a place like Gujarat, how important would it be to converse with the people in their own language? If you think it is not important, you are wrong. Understanding the emotions and sentiments attached to one’s mother tongue is crucial for effective communication. When the floating population in a state is high, the tensions related to the existing culture being replaced is high. People take the local language being used lesser as its first sign. It is in your hands to decide whether to put in a little effort to learn the local language. There are instances where people can’t even say something as basic as numbers in Gujarati. To see an outsider taking the effort to speak their language is a matter of joy for the local crowd. Many a time you need to know Gujarati if you are in the sales division of a company even if the company is based in Ahmedabad or Surat. Thus learning Gujarati also gives you a professional edge. So let’s make use of Multibhashi to learn Gujarati from English.The app starts from the basics wherein you can first learn numbers and alphabets in Gujarati. You can use multibhashi to learn Gujarati from English with just little efforts and Concentration. 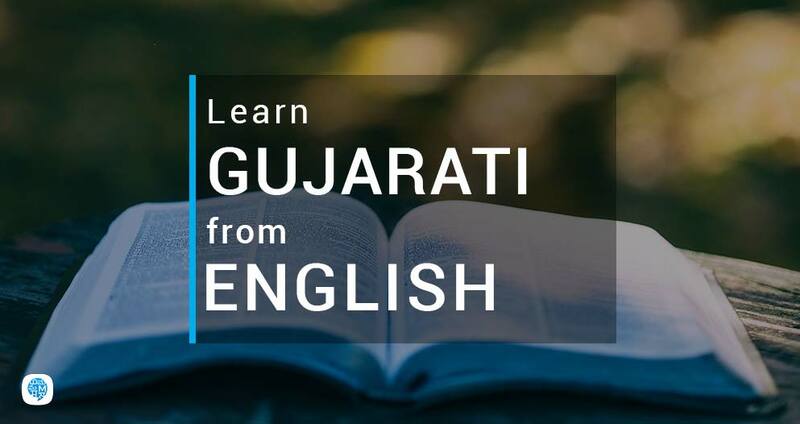 This course with help you understand, learn and use Gujarati sentences in your daily life. We have a collection of most commonly used Gujarati Words and their Meanings in English Which you can Understand Easily. Here You will also get our Vocubulary, Defination, Pronunciation of Diffferent words and Sentences through audio and Visual Cues. Here Using this resources, you can mug up these sentences and Easily practice Gujarati. Try to speak Gujarati along with English first, then gradually increase speaking Gujarati more frequently than English. After this, try to stop speaking English fully and start speaking Gujarati once you are confident. In between, you should note down the words for which you are not able to find the right Gujarati word and then try translating those words. You can refer to the grammar page and learn every base rule easily and frame sentences following those rules.